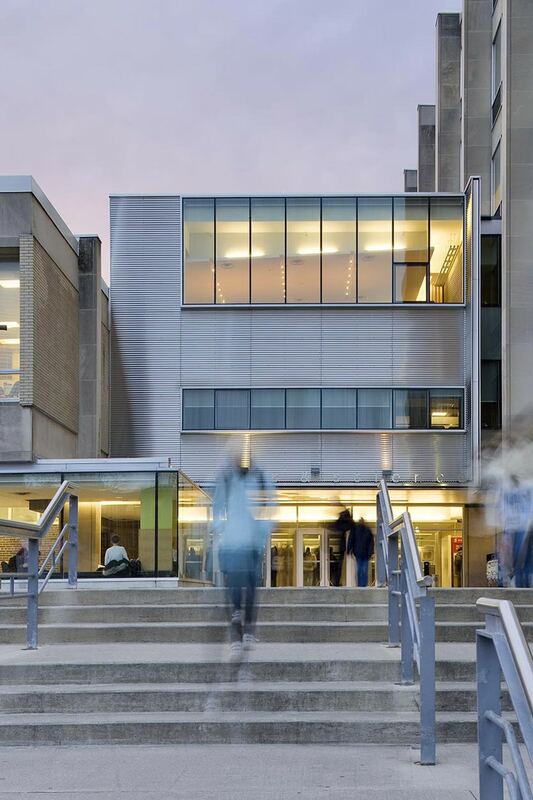 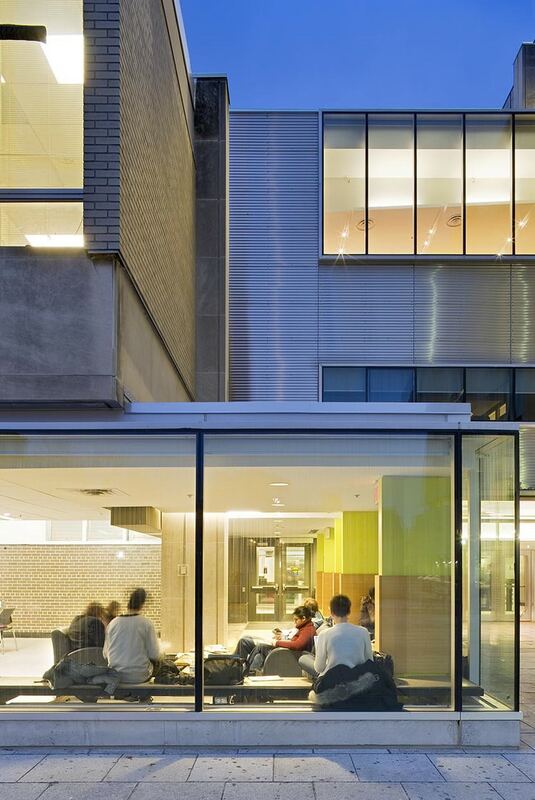 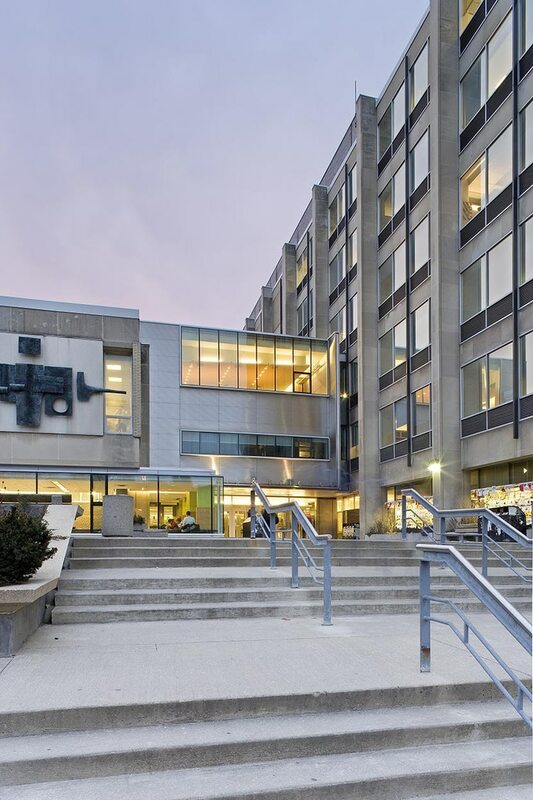 This project was completed in two phases, with the first creating new faculty office and meeting rooms in the form of a third floor “infill” above the existing lobby of Sidney Smith Hall, designed by John B. Parkin in the early 1960s, located at the University of Toronto. 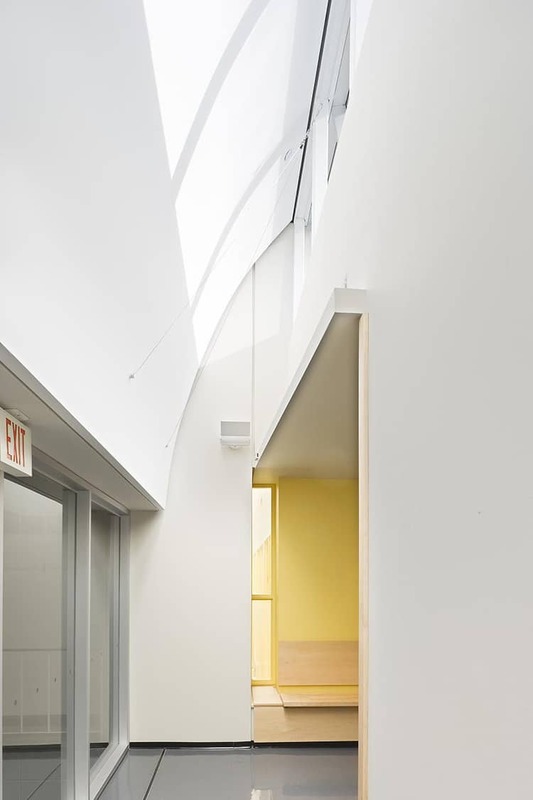 Realized on a very economical budget, the tight “infill” program was resolved by creating efficiently designed offices with built-in furniture units. Natural light is provided to some of the offices by a linear skylight which filters down to the lobby. The large conference room along the east side, whose custom tables can be configured for both conventional board meetings and seminars, provides a stunning view of the St. George Campus. The second phase of work created two new enclosed student public areas underneath existing exterior overhangs of the ‘podium’. 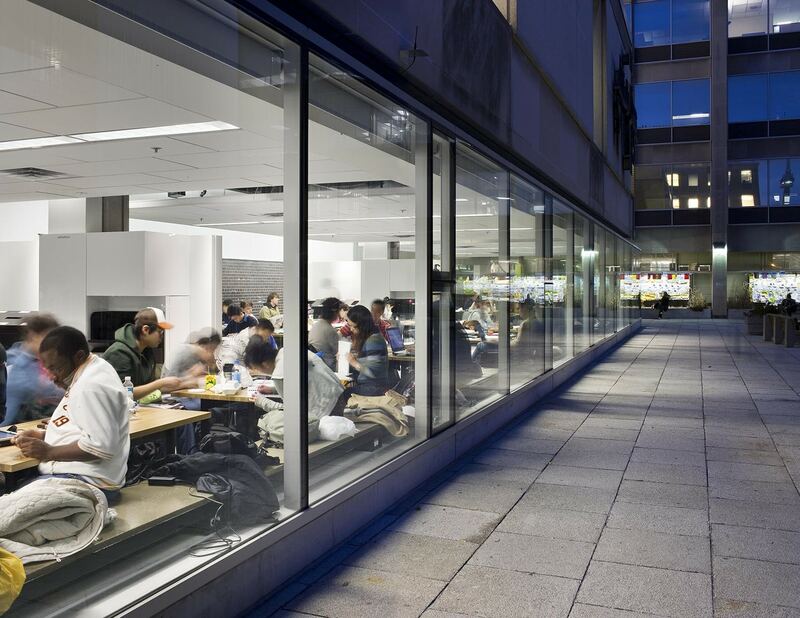 Facing George Street, a new student lounge now animates what was an under-used concrete terrace, and allows for public interaction of the students. 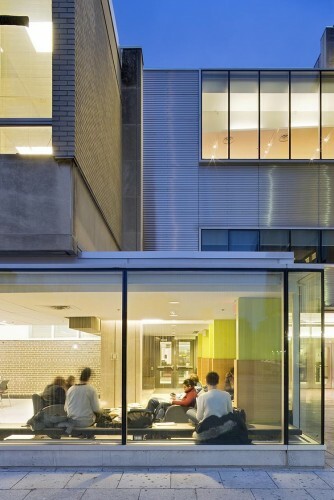 At west side of the building, the infill faces onto an existing treed garden space and is student space dedicated for quiet study. 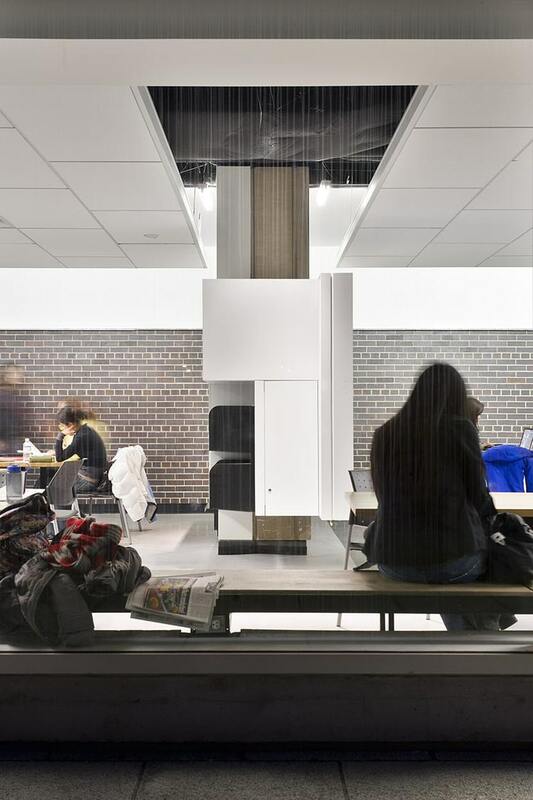 Through materiality and careful detailing, this project articulates between the existing John B. Parkin tower to the north and its south low podium, weaving and infilling new elements onto the old.